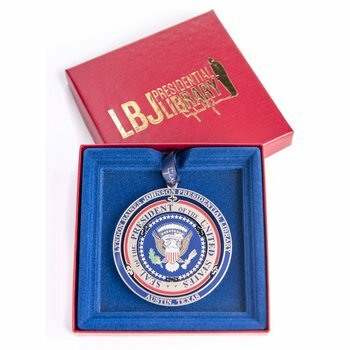 Beautiful multi-layer brass ornament featuring the Presidential Seal from the Lyndon Baines Johnson Presidential Library in Austin, Texas. 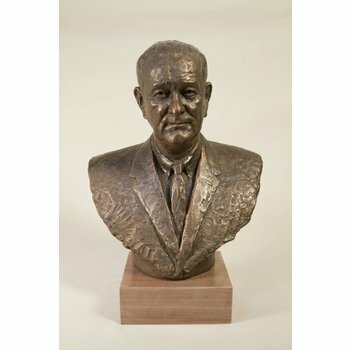 Engraved on the back: “1963-1969 36th President”. 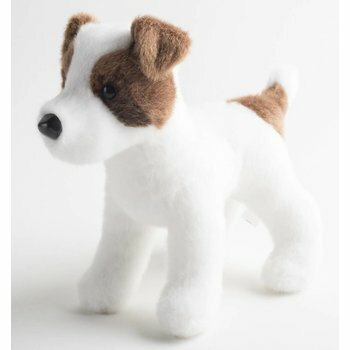 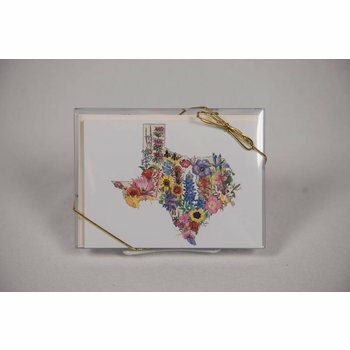 Comes gift boxed with an information card. 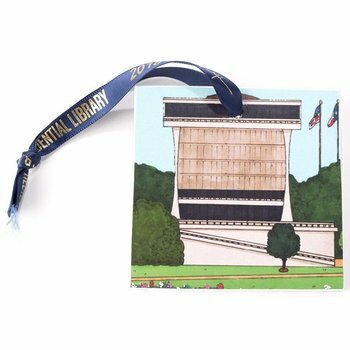 Deisgned by artist Jake Gariepy, this custom ornament is wooden and two sided with the LBJ Library information on the reverse. 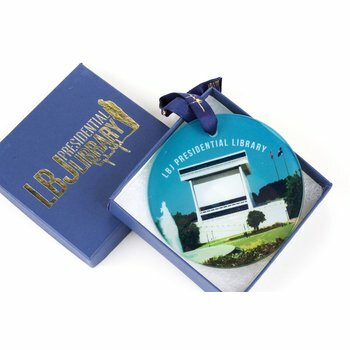 Vibrant colors stream through this glass ornament of the LBJ Presidential Library. 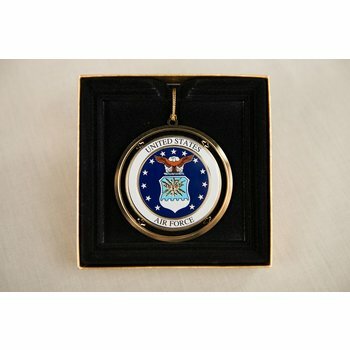 3.5” circle. 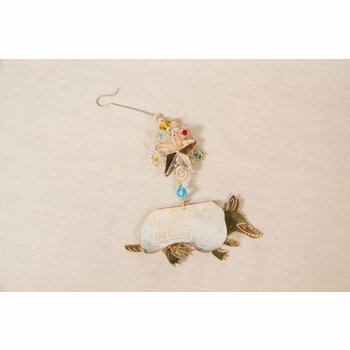 Fair trade tin ornament of a Texas armadillo with engraved and beaded details. 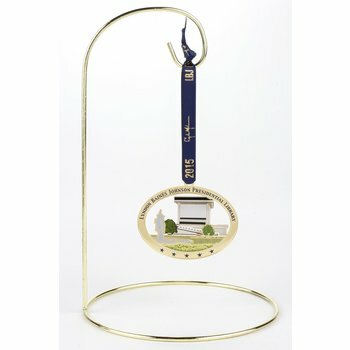 Brass cut ornament featuring the official seal of the United States Coast Guard. 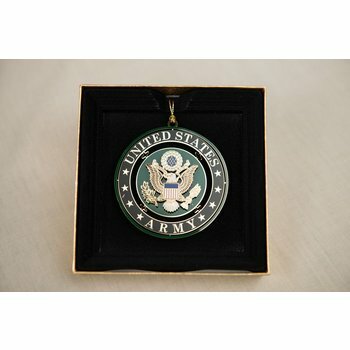 Brass cut ornament featuring the official seal of the United States Army. 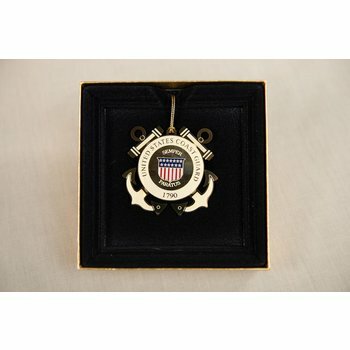 Brass cut ornament featuring the official seal of the United States Navy. 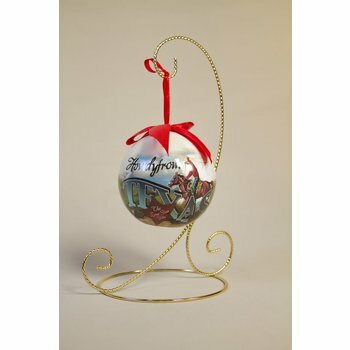 Heavy pewter, double-sided ornament. 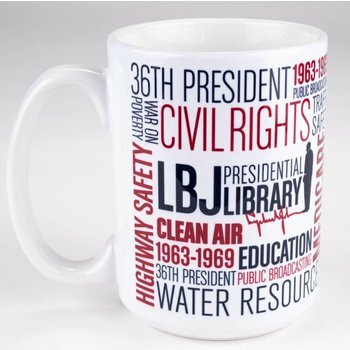 Side 1 is a beautiful portrait of Lyndon Baines Johnson. 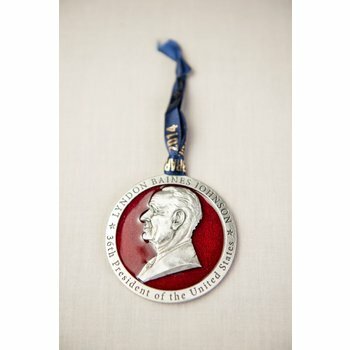 Side 2 is the presidential seal with a background of blue enamel. 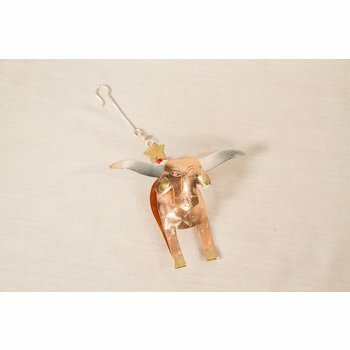 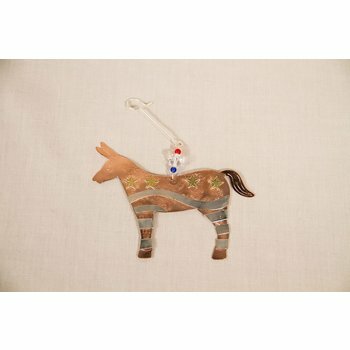 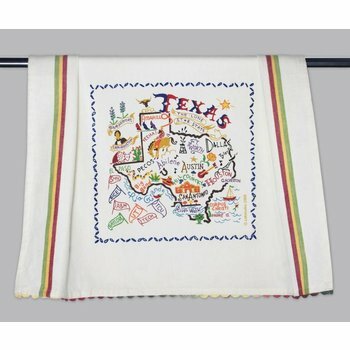 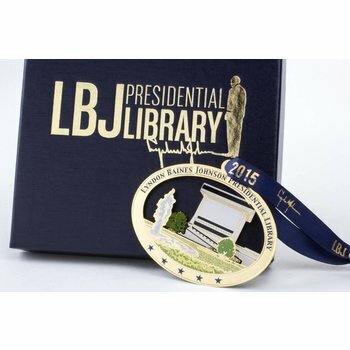 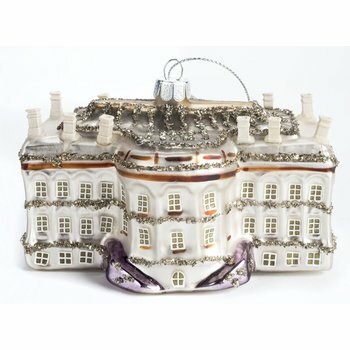 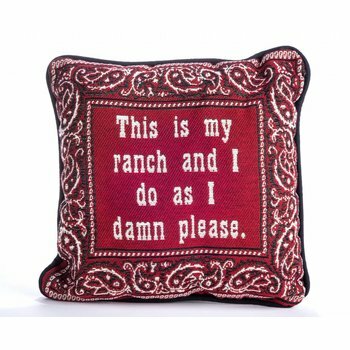 Hangs by a custom ribbon "LBJ Presidential Library"
Fair trade tin ornament of a donkey with engraved design and beaded details. 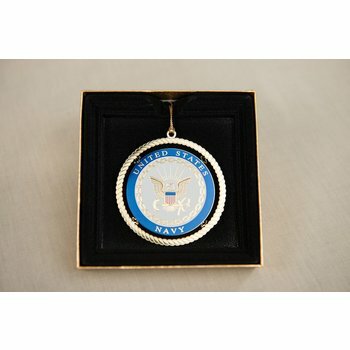 Brass cut ornament featuring the official seal of the United States Air Force.